GIVE mum a break this Sunday and treat her to a special Mother?s Day meal at Si Chuan Dou Hua Restaurant in Parkroyal Kuala Lumpur. A Mother?s Day set menu has been specially created by the restaurant?s chefs for this special occasion. 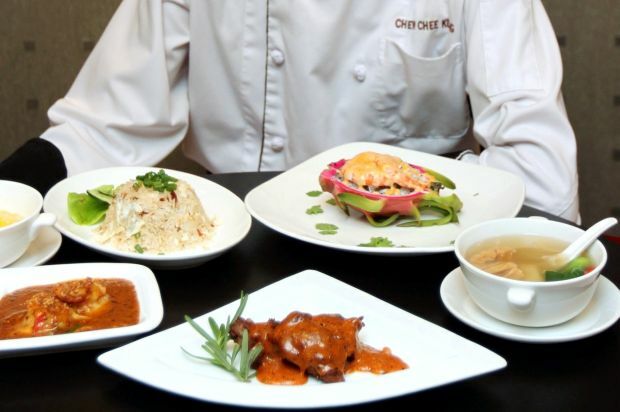 The promotion features a six-course menu for lunch or dinner, comprising Chinese dishes prepared by Parkroyal Chinese cuisine chef Eric Chew Chee Kuong. Chew said the Mother?s Day Set menu was created to offer a variety of flavours that was different from his usual Szechuan-style cuisine. ?Usually, mothers would cook at home for their families. ?Regardless of what kind of cuisine, home-cooked food prepared usually by mothers have mild flavours. ?So this time, I decided to prepare a menu that has all types of different flavours and cuisines specially for mothers,? he said. Start with seafood: The Prawn and Dragon Fruit Salad offers a refreshing taste. Chew added that his creations were usually focussed on Chinese cuisine but this time, he has added a different twist to all items on the menu. ?For Mother?s Day, every single dish is based on a different type of cuisine so that the mothers can enjoy varied flavours in a single menu,? Chew said. Start your meal with the Prawn and Dragon Fruit Salad with succulent prawns in a creamy mayonnaise dressing, placed on top of half a dragon fruit for a refreshing taste. ?This is a Western-based dish but we use ingredients like the dragon fruit for a pleasant fruity touch. The second course is the Double-Boiled Pearl Shark?s Fin Soup with Fish Maw and Dry Scallops for a traditional offering of a soothing soup with ingredients considered prosperous. The third course of the Special Lamb Rack with Mongolian Sauce is a must try for meat lovers. ?We only use Australian lamb for this so that there is no meaty smell from the lamb. ?Here, we use the Mongolian sauce to offer the meat an addictive savoury flavour that is very different from the first two dishes. ?The first dish has a Western touch while the Shark?s Fin Soup is a Chinese dish,? he added. 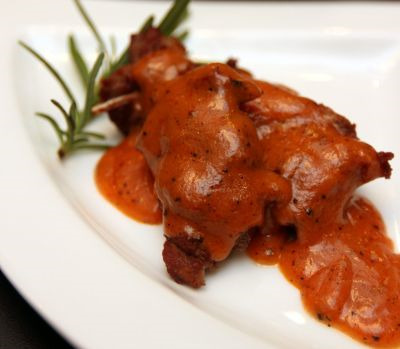 Succulent dish: The Special Lamb Rack with Mongolian Sauce, is a must-tryfor meat lovers. The Spicy Prawn with Flower Bun is another dish with robust flavours. ?This dish has Thai influence with a curry based sauce,? said Chew. Just before dessert is served, mothers will be delighted with the aromatic and delightful taste of Fried Rice with Barbequed Chicken and Egg. The promotion until Sunday is priced at RM108nett per person, during lunch from noon to 2.30pm and dinner from 6.30pm to 10.30pm. Come with a paying guest and mummy eats for free. This special deal is limited to one mother per table only. Head over to Chatz Brasserie on Mother?s Day for the Mother?s Day Brunch with your family and enjoy a delicious spread of local and international cuisine from 12.30pm to 4pm. The Mother?s Day Brunch promotion is priced at RM68++ per adult and RM34++ per child. Mothers can also enjoy henna paintings on their hands during this time.